Fly Deal Fare Blog: Travel With Ease 6 Tips to keep your bag and valuables safe while travelling! 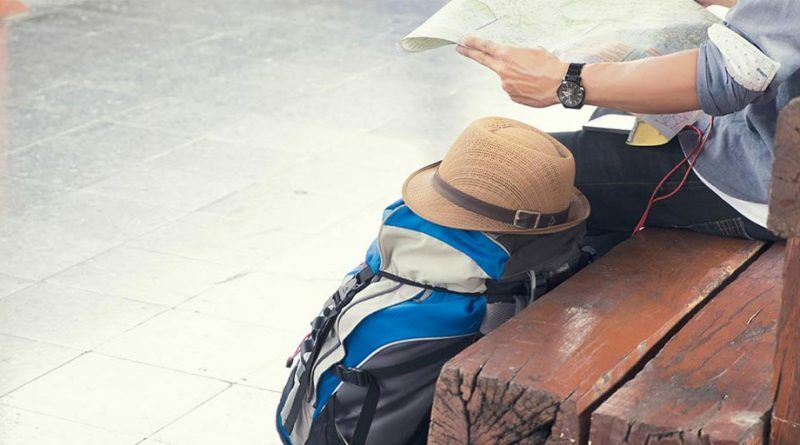 6 Tips to keep your bag and valuables safe while travelling! Do You Know: 6 Tips to keep Your Bag And Valuables Safe While Travelling! We feel afraid of being robbed while traveling abroad, alone! Fear of being robbed is not because of credit cards or money but because of expensive electronics and your passport. Losing money and a credit card can be replaced but losing a passport in some other country is an extensive hassle which can ruin your trip. I know it is difficult to be 100% theft free. But we can at least take some solid measures to avoid this situation for sure. Stayed tuned to check that out! This may sound obvious but many travelers neglect to follow this basic level of security. There is no need to buy a backpack with drawstring closures. But you can buy a bag with lockable zippers or simply lock your bag with a padlock. With these padlocks, you can keep your valuables safe and secure. Cable lock: this is great for securing your bag but anyone can easily cut it with a knife. Safe but not as safe that you can completely rely upon it. Exomesh: very secure as you can pack your bag safely in steel net (which is known as exomesh). In spite of its safety options, it is heavy and not ideal for carrying. Locker: if you are staying in hostels then you can put your bags in lockers easily. Otherwise, a padlock is also the safest option to protect your bag. Little and Best; simply attach the pouch to your belt which will nicely fit under the shirt. This pouch is enough for a couple of folded bills, cards and for any small item. You can easily get money out from the belt without being noticed. It is suggested to keep minimum cash with you. Digital transactions are always safest; so can keep credit or debit cards in your pocket. Make copies of all your documents: you can click the photo ( in phone or have some Photostat also) of the ID card, passport and debit/credit card so that if something will go wrong you can immediately contact to the police or bank for inquiry. Stash your cash: never keep all your cash at one point. Even if you are travelling with minimum paper money, then also it is advisable to keep the cash at different places. If you are all alone then prefer to stay in a private room and not in dorms or with someone you met during your trip. But even if you choose to share your room with anyone then never discloses your stuff or valuables in front of him and try to keep most of your valuables under your pillow while sleeping at night. To be the safest side you can buy travel insurance to make sure if something will go wrong then insurance will cover all your loss. Sometimes, this insurance may include things like laptops, camera gear, phones and iPads. So, you can make your trip safer and stress-free. You can carry the dummy wallet and stuff it with fake currency, dummy debit/credit cards. So that if someone will approach you with evil intentions then you bluff them with dummy wallet and make him go away without losing anything to yourself. 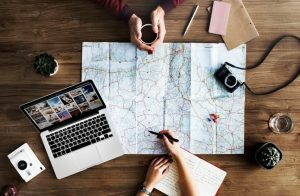 10 Travel Hacks For Money-Saving Last Minute Travel Planning! ← 10 Travel Hacks For Money-Saving Last Minute Travel Planning!